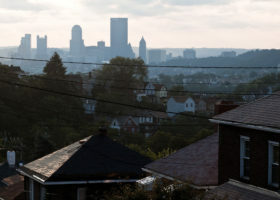 Pittsburgh ranks high on lifestyle and food magazine lists, but a recent report from the American Lung Association found the region is in an unenviable 8th place for annual particle pollution, the worst of any metropolitan area outside of California. Pittsburgh’s air quality is not great. And, like residents reporting noxious, throat-burning fumes from neighborhood industrial sites, you might even say it stinks. Today CMU’s CREATE Lab, a department of the Robotics Institute, is launching its mobile app Smell PGH for iOS and Android. I spoke with two members of the lab responsible for the creation of the app, project director Beatrice Dias and programmer Mike Tasota, about air sensors, designing tools for amplifying community voices, and the importance of qualitative human feedback. Read some of our conversation below. 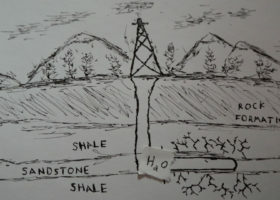 Adam Shuck: Where did the idea for Smell PGH come from? Beatrice Dias: Smell PGH came about through a number of conversations with the Heinz Endowments and groups that care about air quality, like Allegheny County Clean Air Now (ACCAN), Group Against Smog and Pollution (GASP), Clean Water Action, PennEnvironment, PennFuture, Sierra Club, Reducing Outdoor Contaminants in Indoor Spaces (ROCIS), Blue Lens, and more, who all came together to give us feedback. That grassroots effort has been really nice. It also came about through a general sense of wanting to track what the airshed is like in Pittsburgh. You could be somewhere miles away from a particular pollution point source but still experience the effects of that pollution spreading because of wind direction—you might be far away from the Mon Valley, but you can still smell the stuff that’s generated in that area all the way in East Liberty, for example, which is one major area where we get a lot of smell events. So we wanted to have a better sense of this and build awareness around how this airshed works in Pittsburgh. We wanted to create a system that would make it easier for folks to report air quality. This started with the work we did with ACCAN, a community organization based near Neville Island, the site of the former Shenango coke plant. They organize around mitigating emissions from the site because they were experiencing so many negative impacts—one of which was the smell. [During incidences of foul odor] they would call the Allegheny County Health Department (ACHD) or fill out the department’s online complaint form. But when you do this, you’re doing it in isolation—you feel like you’re the only one who’s reporting this, and you’re not aware of the other people who might be experiencing the same thing. AS: Describe how to send in a report of a strange smell through Smell PGH. 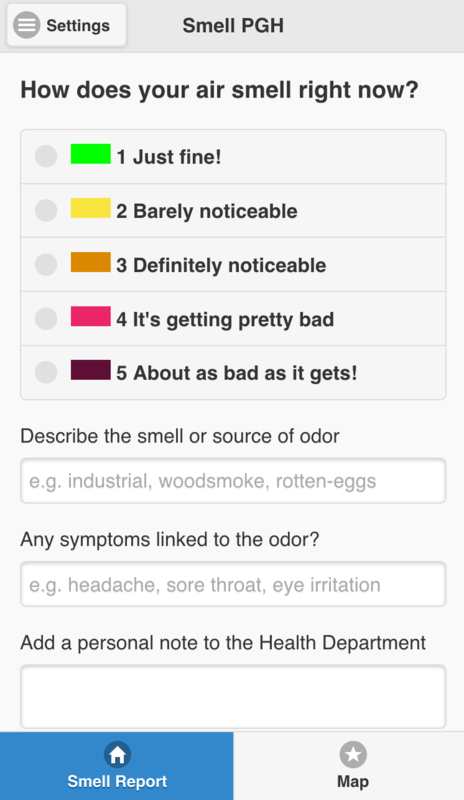 BD: The Smell PGH app makes it a lot easier to submit a smell report; you don’t have to go to an online form or call somebody. The other nice thing is that there’s a map view, so you can see how many reports have been generated in your area. It can kind of validate what you’re sensing and make you feel less isolated. Mike [Tasota] and the team have done an excellent job of making it super easy. The app pulls your GPS location and you just need to fill in your contact information in the Settings tab before you begin submitting reports. You can then rate the quality of the air based on its smell on a scale from 1 to 5, with 5 being the worst. If the smell is rated 2 or higher, the app will automatically generate an email to the ACHD, and they’ll have a record of all of the smell complaints coming from the app. AS: Can you tell me a little bit about how CMU’s CREATE Lab works? BD: The role of the Community Robotics, Education and Technology Empowerment (CREATE) Lab has generally been to create tools that are meaningful to people’s lives and address real needs in the community. We have a specific team that works on outreach, and in robotics, that’s fairly unheard of—generally it’s a lot of programmers and people working with robots. But our lab is dedicated to keeping a sustained partnership with community groups. 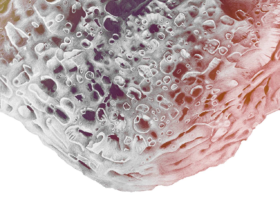 Any tool we build, we want to make sure it has an empowering impact on the community, and we build into it measures that will keep the work going forward in a sustainable way, as opposed to a one-off research project. One way that we do this is by working with educators. We train teachers to teach other teachers, and so on, and our partners in education do a lot of work taking the tools we build and creating professional development materials around them so that they’re integrated into curriculums, not just extracurricular little projects. Our goal is to make technology that is more relevant to people’s lives. Speck was launched as a consumer item under a CMU spin-off company called Airviz, and it had its public debut at the 2015 SXSW Festival in Austin, Texas. Today it retails for $149. 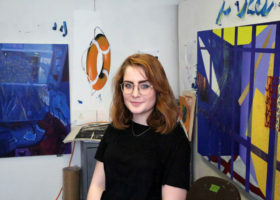 But with support from local foundations, in March of this year CREATE Lab and Airviz made Speck sensors available to libraries around the country and have given most of Pittsburgh’s Carnegie Libraries the monitors for residents to check out and use in their own homes for a three-week period. 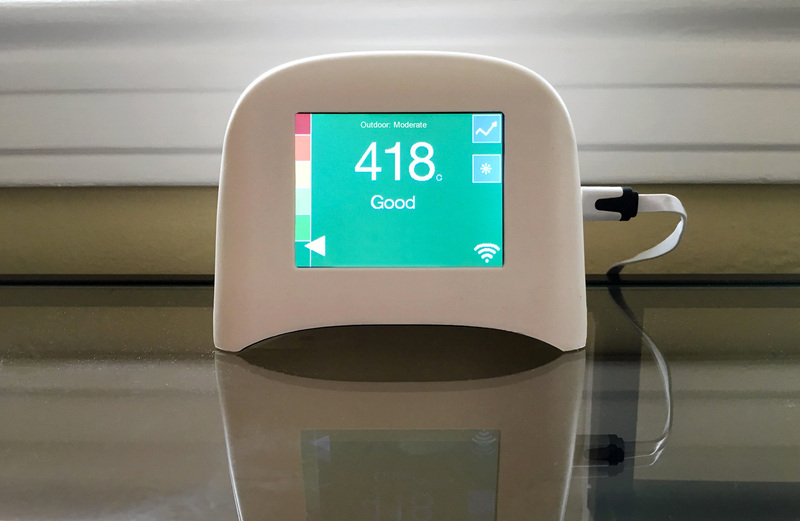 SpeckSensor pulls AQI data from monitors around the country. Speck is also a mobile app for iOS and Android called SpeckSensor. Like a weather app that lets you swipe through different cities’ live temperature readings—it’s 80º in Chicago; it’s 85º in Washington D.C.—SpeckSensor allows users to array the AQI, or air quality index, of cities around the country. In our conversation yesterday, Mike Tasota, a programmer at the CREATE Lab, and Beatrice Dias explained a bit about how the SpeckSensor app works. Mike Tasota: There’s a nice overlap between what’s displayed on the Smell PGH app and what SpeckSensor users are interested in. All of our AQI data is populated from ACHD and AirNow federal sensors. Speck allows you to enter a location; it pulls the closest sensor to that location, and it gives you a quick reading of the AQI at that moment. You can also explore past air quality activity. And in addition to checking in on federal sensors, you can log into your own Speck to see what the AQI reading is at that moment in your own home. BD: The Speck mobile app really helps you to [mentally] connect the outdoor air quality with indoor air quality. 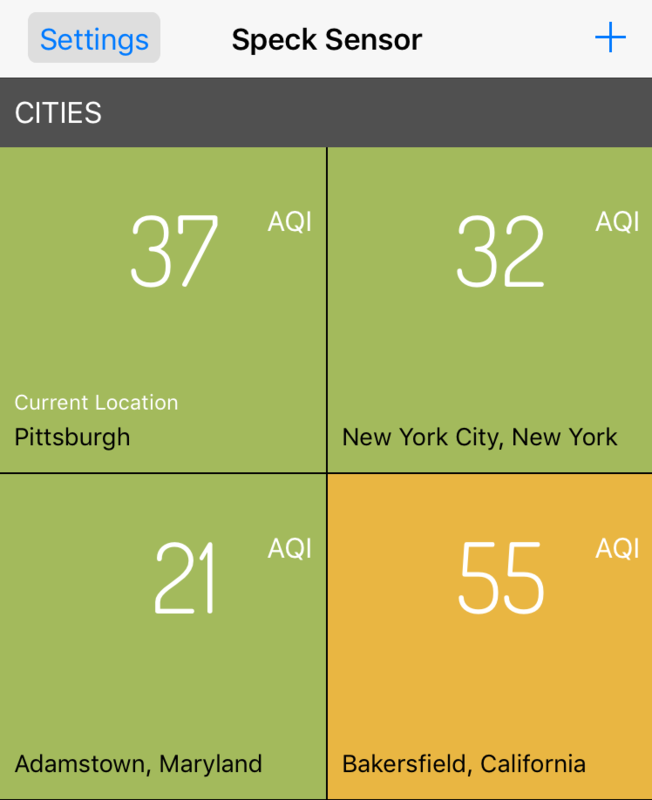 And even if you don’t have a Speck at home, it’s helpful to compare Pittsburgh’s air quality to other cities, where you may have friends or family. 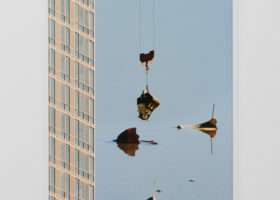 “It’s often the case in our lives,” Dias told me, “that if a machine doesn’t measure it, then it doesn’t count, because you can’t attach a number to it. 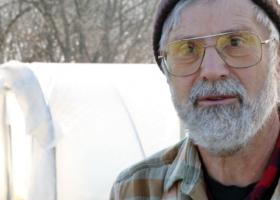 But our human experiences should matter as well.” The power of Smell PGH is that it does both. The app’s map blends readings from official Allegheny County air quality sensors (depicted by small circles) with the real lived experience of Pittsburghers (depicted by small triangles). 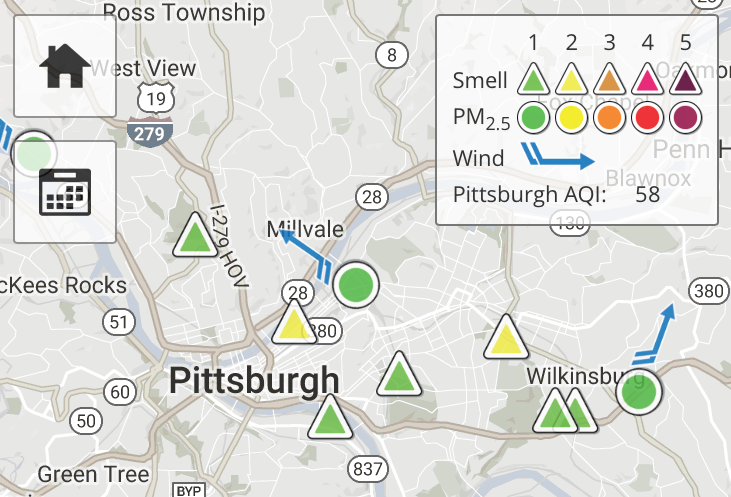 And while reporting offensive odors means an alert is sent to the Allegheny County Health Department, it also, on a broader scale, gives Pittsburghers an effortless opportunity to record and broadcast the state of their air to others in their community. “We often live in silos and don’t share out thoughts like these with others,” Dias said. But by using this app, “you can see that other people are expressing their concern about the air too, reporting the same stuff that you are.” Over time, CREATE Lab hopes that Smell PGH will be able to collect a compendium of data from both electronic devices and human noses, revealing patterns about pollution and the way that the wind channels and carries it. 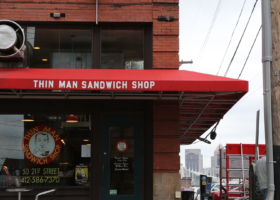 Though not concerning cocktails or street fashion, these are some Pittsburgh trends well worth tracking. Smell PGH is available for iOS and Android. Learn more about the app and the CREATE Lab here.